If you have been recommended for restorative dentistry procedures, then you undoubtedly have some complex treatment requirements. Restorative dentistry is designed to preserve the patient’s natural teeth to the fullest extent possible, and this is achieved through the study, diagnosis and integrated management of affected teeth and supporting structures. However, there are some circumstances in which supplying the patient with prosthetic teeth is more effective in restoring their function and appearance. Who will be involved in my restorative dentistry treatments? 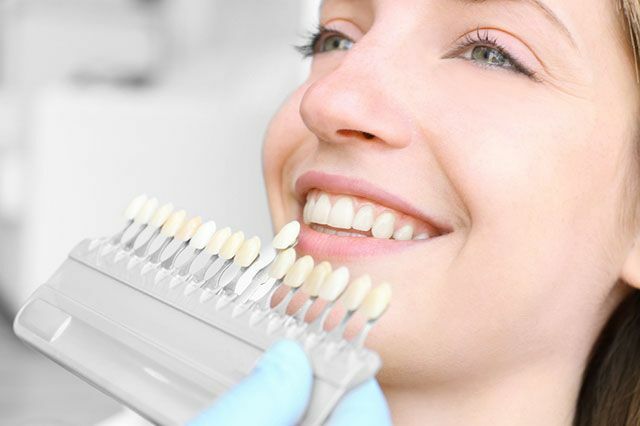 The number of professionals involved in your restorative dentistry will depend on the extent of the work that you require to restore the function and appearance of your smile. Dental crowns are an ideal solution for teeth that are badly decayed, eroded, cracked or have suffered some other form of damage. They sit over the top of the affected tooth, encasing it completely right down to the gum line. This restores the strength and function of the tooth, while also making it look and feel completely natural. Many patients also opt for crowns made from porcelain as they can be color-matched to your existing teeth, making them extremely discreet. To fit a crown, it is necessary to either file down the affected tooth so that the crown can fit properly over the top, or build up the damaged tooth so that it is solid enough to support the crown. However, both are performed under a local anesthetic, making it a relatively painless and straightforward restorative procedure. Implant crowns, also sometimes referred to as dental implants, offer a modern twist to the traditional variety of this solution. While conventional crowns are held in place using permanent cement, implant crowns have the added benefit of being secured directly to your jawbone by way of a titanium implant post and connector. The post is screwed directly in to the jaw, where it fuses to the bone creating a virtually unbreakable anchor for the crown. This makes it a much more secure, robust and long-lasting alternative that many patients believe to be a better investment than ordinary dental crowns. A dental bridge is a long-standing and successful treatment that uses a device that replaces one or more missing teeth. The prosthetic tooth sits in the place of your missing tooth, and the device is secured in place using conventional crowns anchored to your existing healthy teeth. Position, function and the appearance of your smile is normally taken into consideration when planning a dental bridge. However, implant technology is now being used successfully in dental bridges too, and it is now possible to choose an implant-supported bridge that is attached to implant posts in your jaw bone. This variety of bridge is often considered superior to the conventional alternative. This list represents just a few of the procedures that we can offer our patients, to help them achieve a fully functional and beautifully natural smile. For further information on the restorative dentistry treatments that we can provide, or to arrange your consultation appointment, please visit our Oakton, VA dental office or call our friendly, knowledgeable team.